The Americans won the war, Iran won peace, but Turkey won the Iraqi export market. Turkey’s exports to Iraq have increased by more than 25% a year, reaching $10.8 billion in 2012. Turkey’s decision to block US military deployment from its territory has yielded economic success. Turkey is now Iraq’s second biggest supplier, when thirty years ago its goods were banned from Iraq, The Wall Street Journal reports. Turkey has diverted its exports from a sluggish European market and Iraq is likely to replace Germany as its number one export market by the end of the year, Turkey’s Central Governor Erdem Basci told CNBC. "Probably this year Iraq is going to replace Germany which has been our number one export destination," Basci said. "Iraq will probably become number one by the end of next year." In 2012 Turkish exports to Iraq rose to $10.83 billion from $8.3 billion a year earlier, while German exports fell slightly to $13.13 billion from $13.95 billion. Iraq has replaced Italy as the second biggest importer of Turkish goods, according to Basci. Around 30 percent of the Turkey's exports currently go to Iraq and that's likely to rise. "Europe has been our main trading partner. As of 2010 we had 60 percent of our exports heading to Europe but now there has been a big effort to diversify our markets," Basci said. Ozgur Altug, an economist at BGC Partners in Istanbul, forecasts a strong symbiotic relationship between the two nations. As Iraq begins to accumulate wealth from its oil reserves (the fourth largest in the world, estimated at over 150 billion bbl), demand for Turkish goods will increase, by more than $2 billion a year, Altug predicts. 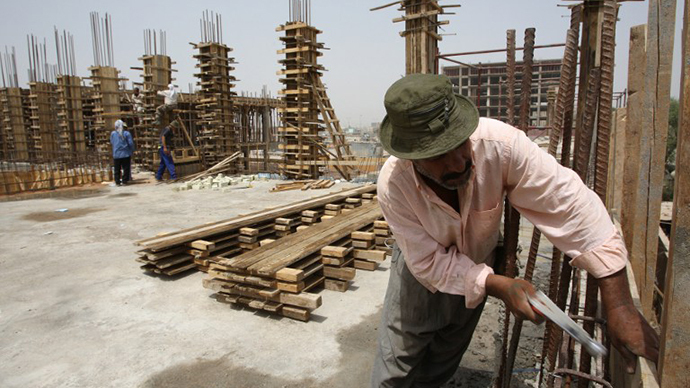 Iraq is also expected to look to Turkey to help redevelop infrastructure after the 10 year war. Last year, Turkish contractors secured about $3.5 billion in construction projects, according to Altug. Calik Energy, a Turkish company, is building two gas turbine plants in the Monsul and Karbala regions, with a $800 million price tag financed by the Iraqi government. Markets exist beyond oil and construction, ranging from services to even diapers. Adman Altunakaya and his family run a family-owned diaper conglomerate, which accounts for two thirds of the Iraqi diaper market. Sales to Iraq are 90 percent of the company’s revenue, and have risen 50 to 60 percent in the last two years, since the US troop withdrawal. A huge chunk of Turkey’s success is dependent on the Kurdish region, the unofficial nation state situated between Iraq, Iran, and Turkey. The Kurdish market drives the Turkish exports, and accounts for about 70% of exports. Almost 1,000 Turkish businesses export in the northern region, including banks and hotels.